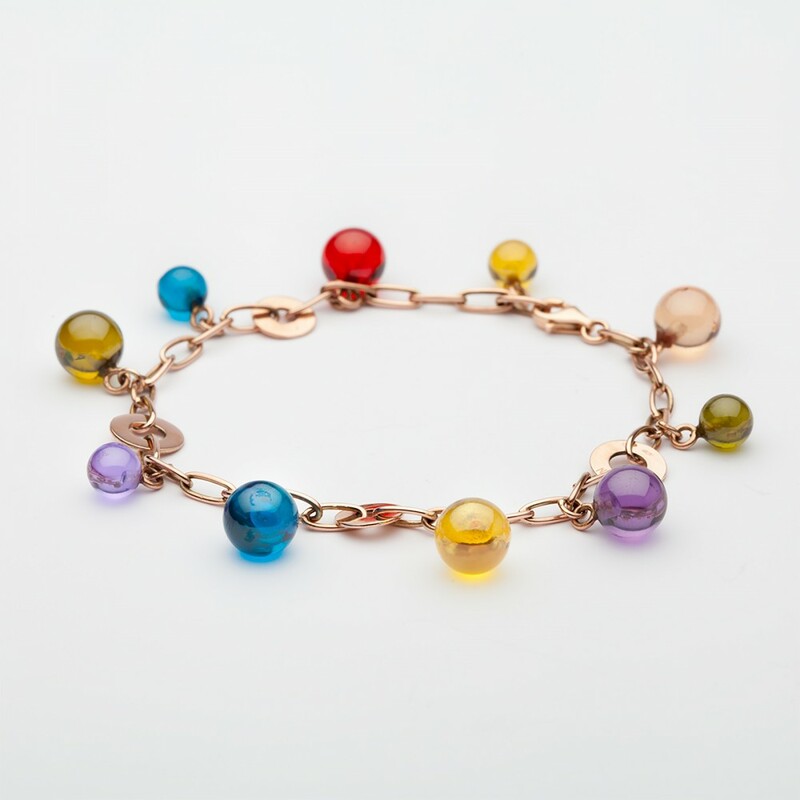 Multicolored bracelet in 9 kt gold. Handmade bracelet in 9 kt rose gold with multicolored zircons spheres, 0,8 mm and 0,6 mm of diameter. This collection is covered by Copyright, and its brend is registrered, every items come with their personal warranty and packaging. For this precious item, shipment is out of charge.